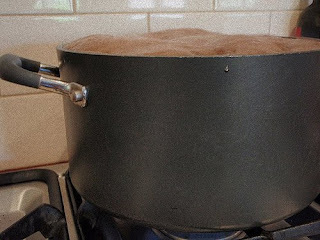 For example, in the pan above we see 3 cups of sugar, 2 cups of water, a stick of butter and some bicarbonate of soda at a rolling boil. The fact that 30 seconds later the volume of the mixture exceeded the pan's capacity is what we might call bad luck. By contrast, the example above is one of "good luck". 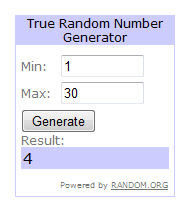 Here we see that commenter number 4 from this giveaway has won a 2011 Sewing Calendar. Congratulations to Peppermint Penguin and thank you so much to everyone who gave me such a laugh. All of your excuses were brilliant and I enjoyed reading them very much! Meee!? Really? Oh wow, thanks!! Fantastic. Then 30 seconds later I'm guessing that there was some bad language bubbling over. Were you making honeycomb? That stuff does me in everytime. My sympathies. Congrats to the Peppermint Penguin who won! Dare one mention the words 'sugar thermometer'? Are you still trying to clean the sugar off everything?